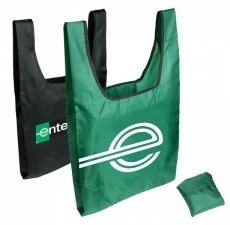 Provide your customers with this folding custom tote bag from Custom Grocery Bags. 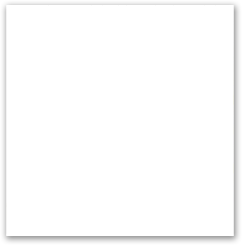 The drawstring closure keeps your items protected and safe in your bag, making it very useful to carry any items for any occasion. 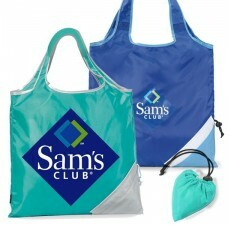 The Reusable Recycled Folding Tote contains two 9” handles that are 2-½” wide. 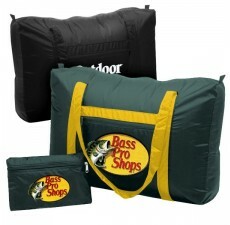 This eco-friendly tote folds into its own zippered pouch, making it very convenient to store anywhere. Our drawstring bags are made of lightweight yet durable eco-friendly material, which was produced with no harm to the environment. 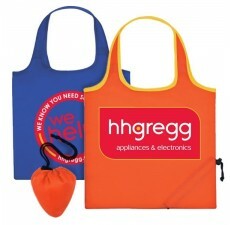 If you are designing your tote for the first time and need some guidance, contact our design and customization specialists.